This warm weather stretch over the next few days is certainly going to make it feel like summer. This spring, the staff has been diligently preparing the turf for the summer heat with the varying cultural practices and products applied to the turf on what has seemed like a daily basis. Our latest process, de-thatching, provides immediate surface drainage. This, combined with a rinse-in spray yesterday will help stabilize the moisture in the soil allowing distribution evenly to the entire root zone. Although April and most of May were dry, nature definitely caught up and provided us adequate precipitation over the last two weeks. 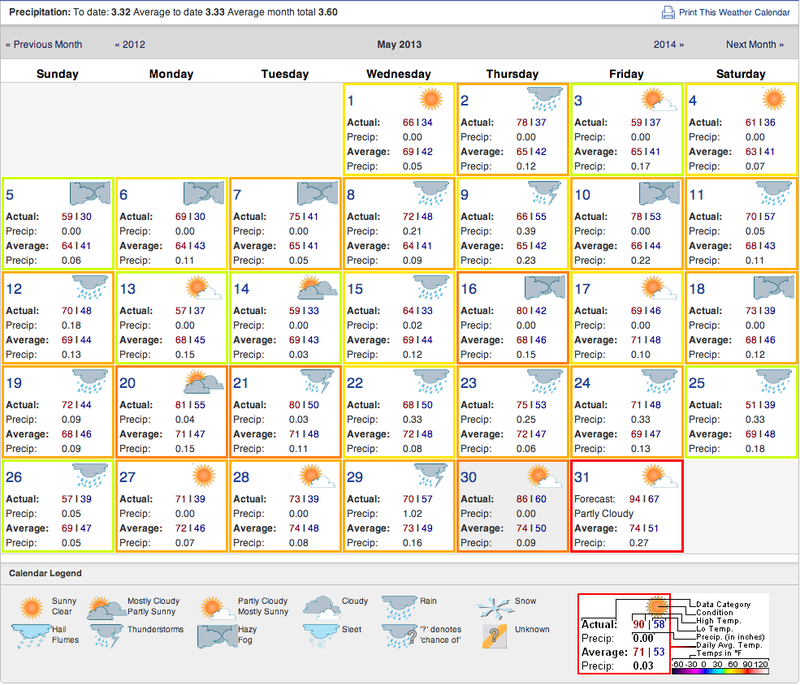 We had only 30% of the average rainfall two weeks into May,. By looking at this chart, you can quickly see that we are right on pace for average. From approximately Memorial Day to Labor Day, we try to maintain the green speed at a very consistent level; only changing consistency to make the greens faster for major events. There a few ways to increase speed, but the most important factor is making sure your turf can handle this change. Root stability, overall plant health, and the right amount of moisture everyday will help allow for the turf to be tweaked during the time of an event. Thank you for your patience as we slowly climb out cultural practice season. The turf will soon regain its near flawless playability. See you on the course! 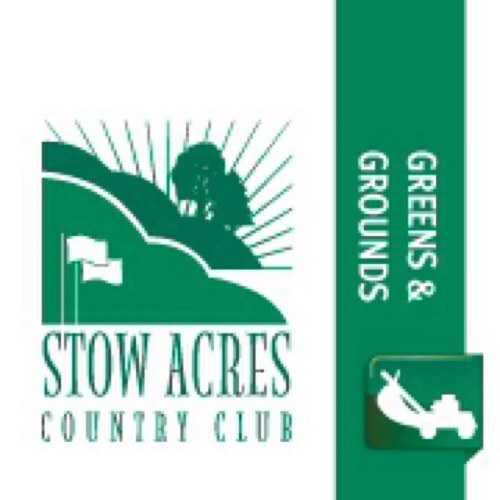 Categories: A Word from the Superintendent... | Tags: golf course, green speed, may, turf | Permalink.